Five weeks after Bill Johnston held a council of war in Buffalo with William Lyon Mackenzie, Donald McLeod, Rensselaer Van Rensselaer, and Daniel Heustis, his preparations for the invasion of Canada at Kingston were ready. He had the weapons, the men, and their provisions. They were unstoppable, or so he and others thought. While Johnston toiled in Clayton, General Van Rensselaer lodged in Watertown, NY, pretending the battle strategy was his and annoying most people who met him. His failure at Navy Island had ruined his credibility to the point that the local paper, the Watertown Jeffersonian, called him "Mr. Van No General." A series of disputes with Mackenzie had estranged the two men to the point that the latter refused to have any further dealings with Van Rensselaer and the Kingston invasion. 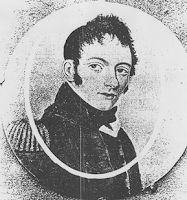 Mackenzie wrote, "I cannot sail in a boat to be piloted as he thinks fit." On February 17, 1838, General Van Rensselaer arrived in Clayton and took command of the invasion, making Johnston his second. This did not sit well with the men gathering in Clayton but no one moved to mutiny. And as hundreds of raiders began filling the small town, word of a pending attack crossed the river to Lt-Colonel Richard Bonnycastle, commandant of Fort Henry. The most famous informant was Elizabeth Barnett. American-born Barnett (1815-August 23, 1906) was a young teacher in Gananoque in 1838, when she paid a brief visit to relatives in Lafargeville, NY, south of Clayton, that February. All around her, people spoke of little else but a planned attack on Canada. Worse, she learned the invaders intended to raid her beloved Gananoque. Barnett cut her visit short on pretext of illness and left for home in a horse-drawn cutter on February 21. She stopped briefly in Clayton to see the war preparations firsthand, and then crossed the frozen and windswept St. Lawrence River to Gananoque. Arriving near nightfall, she alerted the town. When she mentioned Bill Johnston's involvement, the townsfolk had fits. Women and children fled to the country for safety. Men gathered their weapons. Couriers rode at a gallop to‎‎ Kingston, Brockville, and other towns to spread the warning. Canadian historians have painted Barnett as the Laura Secord of her era—a brave woman who saved Canada. Truth is less dramatic. Bonnycastle had a network of spies in Canada and the US. In his posthumously published book, Canada As It Was, Is and Will Be (1852), he wrote that he knew of the invasion three days ahead—well before Barnett's message reached him. Also, Bonnycastle knew details Barnett never could have told him. Also, by that point, an invasion of Canada was as predictable as a sunrise. On the day scheduled for the attack, the Jeffersonian reported suspicions about an impending battle in its weekly news. A genealogy site includes more on Elizabeth Barnett and a flamboyant story on Barnett by John Northman.